Car ignition problems are urgent. If you have trouble with either the key or ignition, contact our company. We provide ignition repair, key replacement and ignition key change in Fort Saskatchewan, AB. Can’t start the engine? Can’t insert the key in the ignition? Call Locksmith Fort Saskatchewan 24/7. Our team is equipped and qualified to offer professional car lock and key related services. We help in timely fashion and cover emergency 24 hour needs. We can have your ignition car key made in just minutes. 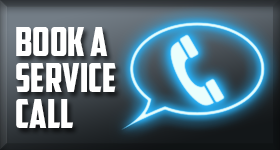 Our mobile locksmiths respond 24/7 and quickly to your urgent calls in Fort Saskatchewan, Alberta. Did you lose your vehicle key? Did it break inside the ignition? Such problems are handled right away. We can extract the broken car key from the ignition and have a new automotive key made quickly. If the wrong key is used, we can still extract it and check the condition of the ignition. 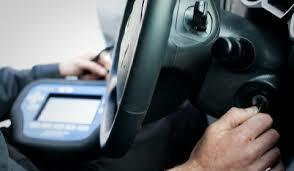 Our experts are qualified car locksmiths and do careful work. Stuck and broken keys are always extracted carefully and with the proper locksmith tools. Is the key lost or damaged? It is replaced on-site. All professionals from our business travel in vans filled with cutting machines, a plethora of tools and software. We make use of the right equipment in order to cut a new ignition key replacement and then program it. Each car locks and opens with one unique key. Once we complete the ignition key change Fort Saskatchewan service, we program the key. In order to open and lock your car, the key must be programmed to send coded messages to the security system. The job is done with precision and on the spot. In order to make a new key, we use key replacements available in our trucks. Trust that our company offers affordable and still high quality supplies. Count on our quick assistance and experience to change ignition keys of any car brand. Our qualified technicians are discreet, do their job properly and help 24/7. Contact us.